Male model, stock car driver and a giant flower on the BBC game show Get Your Own Back. All roles that Andrew Roberts has taken on for the sake of the Gospel. Now best known for Holy Habits Andrew’s Christian journey began when he was blessed to be born into a Christian family. He made his personal commitment to Jesus in his teens, and his university years in York were hugely formative. Andrew studied economics and was privileged to serve as President of the Christian Union – a role in which he was mentored by Graham Cray for whom he would work many years later. Attending St Michael-le-Belfrey he was greatly influenced by the ministry of David Watson, learning a huge amount not just from what he did and taught but from who he was as a person and a follower of Jesus. After graduating Andrew went to work as a financial analyst with Ford Motor Company indulging his boyhood passion for cars. When the call to ministry came it was a real struggle to leave that dream career; a struggle that reached its climax one evening at Spring Harvest when at the age of 25 Andrew had an almighty row with the Almighty on Minehead beach. The Almighty won and so it was bye-bye Basildon and hello Durham where Andrew went to train for the Methodist Ministry. As usual the Lord knew what he was doing and it was in Durham that Andrew met and married Shona. A first Methodist appointment followed in Doncaster where their son Matthew was born. The family then moved to Kingswinford in the West Midlands where, unusually for a Methodist ministerial family, they have lived ever since. Andrew helped to grow a church there to over 300 adults, children and young people. In 1997 he achieved his fifteen minutes of fame when he was the lead model on the first ever Clergy on the Catwalk show at the Christian Resources Exhibition (CRE) at Sandown Park, Esher having collaborated with Juliet Hemingray on his Coat of Many Colours. No fewer than 17 TV companies from around the world filmed the event. Elle magazine even flew over a reporter from Paris to do a feature piece. Andrew realised the potential of positively introducing people to the church via the media and went on to do Get Your Own Back with a child from the Kingswinford Sunday School. He also blagged entry into the Faster Pastor stock car race for clergy, filmed by Transworld Sport, which he also managed to win. All of this helped the church to grow. In 2005 Andrew had the privilege of being part of the newly formed Fresh Expressions team workingunder the leadership of Steven Croft and then Graham Cray. Steven Croft encouraged Andrew to do an MA which renewed his contact with Durham. One assignment on the Book of Acts involved writing an essay in response to this question: “To what extent do we see the picture that Luke presents in Acts 2:42-47 reappearing in fresh expressions of church today?” This was the piece of work from which Holy Habits emerged. In 2015 two events providentially coincided. By now Andrew was working as a discipleship consultant. The Birmingham Methodist Circuit invited him and two others (Deb Humphries and Brian Dickens who would both go on to also make significant contributions to Holy Habits) to offer ideas on how they could better form disciples. For some time Andrew had been pondering the possibility of exploring Luke’s model of church in Acts 2:42-47 and using it as a framework for resourcing discipleship. 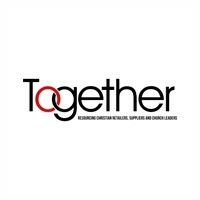 Now was the time to suggest what has developed into the Holy Habits resources published locally by the Birmingham Circuit and subsequently by BRF, having been substantially redeveloped. 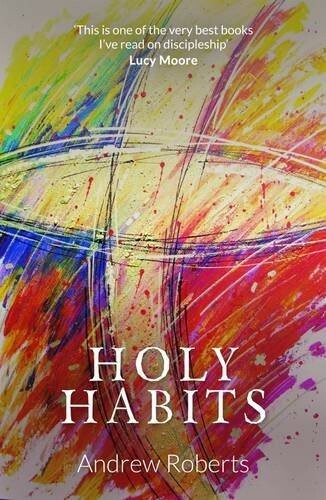 A sabbatical provided the opportunity to write the Holy Habits book that was published by Malcolm Down. When Malcolm and Andrew met at Milton Keyes to discuss the possibility of the book neither imagined what would become of it – at the time of writing sales are around 14,000 copies – but both are hugely grateful to everyone who has been supportive of the project and to BRF for taking it on further. Most important of all are the stories of renewal, growth and transformation from individuals and churches who have been blessed to rediscover the way of being followers of Jesus that Luke presents so vividly in Acts 2. If anyone deserves the ultimate credit for Holy Habits it is St Luke.